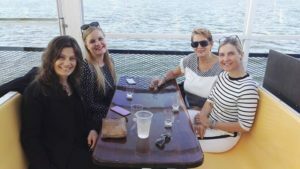 The Nordic primary immunodeficiencies (PIDs) patient groups from Finland, Norway, Sweden, Denmark, Iceland and Estonia got together in Helsinki, Finland, in May 19-20, to exchange views, learn from each other and forge future collaboration plans. Close to 40 participants attended and benefited from the two-day information packed sessions. IPOPI Chairperson, Jose Drabwell, was also in attendance. On the first day, Prof Ann Gardulf (immunology nurse) and Prof Rolf Gustafson (adult immunologist) gave participants very important information for both health care professionals and patients. They provided an in-depth history of immunoglobulin and explained some of the issues associated with Subcutaneous Immunoglobulin (SCIG) such as using the right size needle, ensuring the tape is applied properly, etc. Ms Minna Muranen, a nurse, dietician, pharmacist, and motivational coach focused on nutrition, low absorption and imbalance of gut bacteria. Small workshops followed discussing various topics such as “How to improve co-operation between Nordic countries”, “Problems and challenges of living with PID”, “How to explain PIDs in case of a medical emergency”. In the afternoon session, Dr Merja Helminen (paediatric infectious disease specialist) spoke about the manifestation of PID in children. Given their rarity, the traditional warning signs do not apply in the case of children, Dr Helminen suggested using Dr Beatriz Carvalho’s ‘Attending to Warning Signs of Primary Immunodeficiency Diseases Across the Range of Clinical Practice’ paper. Dr Emma Haapaniemi from Karolinska Institute spoke about new and emerging PID treatments such as gene therapy and the importance of identifying the faulty genes as a way to guide future therapy options. Dr Lotte Denning closed the day with a talk on patients’ mental health. Depression, sadness, less interest, less energy, more tired, sleeping problems, changes in appetite, less able to concentrate are all manifestations of those living with a primary immunodeficiency. 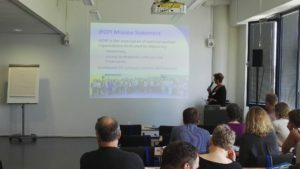 This presentation highlighted the lack of psychological support for patients with a PID and gave an overview of available services in the Nordic countries. Finland currently has 850 diagnosed patients, 450 of which are receiving treatment. Following their recent Annual Meeting a new Board of Directors was elected and a new chair appointed. 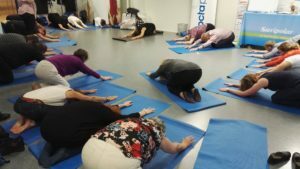 Finland has a patient guide, a new website and a Facebook page in the pipeline and summer camp to be organised this summer. Sweden’s PIO is the oldest PID patient group in the world! Founded in 1978, PIO has 1000 members, 515 of which are patients. They recently launched a new website and a successful fundraising campaign. PIO is doing advocacy efforts towards the inclusion of Severe Combined Immunodeficiency (SCID) in the national newborn screening (NBS) programme. Norway’s NMO has 200 members and its work focuses on awareness, diagnosis, treatment and Quality of Life. There is an ongoing pilot on SCID NBS with 7000 babies already tested and 3 SCID cases found. Denmark’s patient group is governmentally funded and has 250 members. The group consists of volunteers and all are parents of children with a PID. They organise social events to exchange experiences between parents, siblings and children. Iceland will soon start NBS for SCID and the Minister of Health is interacting more with patients. They have 200 members, a new website and are raising awareness of PIDs. Estonia has 12 diagnosed patients, three of whom are on SCIG, two others only on antibiotics while the remaining ones are on IVIG. Members meet regularly to discuss and interact.